» Which Is Best, Front Tine Tiller Vs Rear Tine Tiller? Which Is Best, Front Tine Tiller Vs Rear Tine Tiller? Whether you want to have a beautiful flower garden or if you want to have a garden for fresh, organic fruits and vegetables, a tiller is going to be a valuable tool to have! 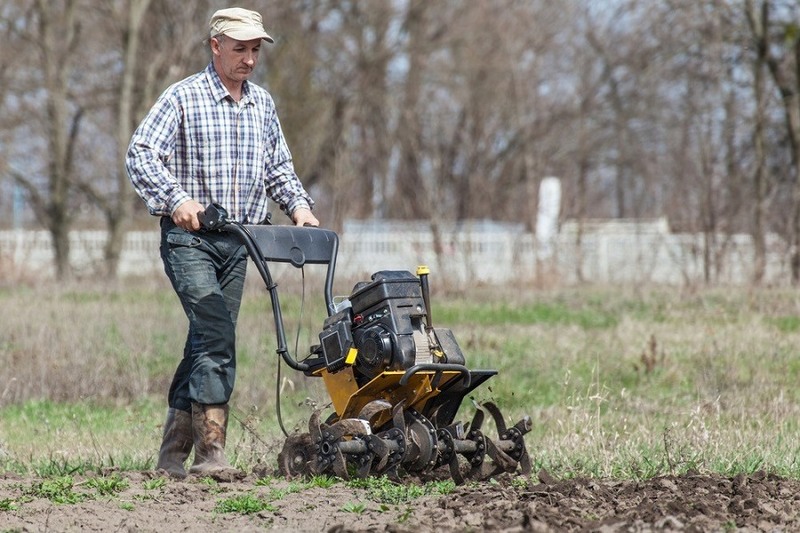 If you’re new to gardening, you may be wondering what is a tiller used for. A tiller is a tool that homeowners and gardeners will use if you have a large area you want to till so that you can plant new flower beds, herb gardens, vegetable gardens and the like. Some people will even use these devices to till their yard so that they can reseed their lawn easily. The tiller features a series of blades that are called tines that are mounted in a housing unit that is attached to wheels. The tines will have four blades that curve alternately in opposite directions. These blades will dug into the earth to loosen compact soil, making it ready for gardening. The machine can be powered by a gas engine, but there are some devices that use an electric motor. In this article, we’re going to tell you exactly what a tiller is, but also discuss the different types (front tine tiller, rear tine tiller, and mini-cultivator) and do a comparison between the front tine tiller vs rear tine tiller so you know which unit will be the right one for your garden. A front tine tiller is going to be a little smaller, lighter, and nicer on the checkbook in comparison to a rear tine tiller. With these machines, the tines are in front of the engine. The tines will dig into the earth and pull the machine along, not the wheels. As the tines rotate forward and pull the machine, this means that you will have to maintain your grip on the machine and stop it from propelling forward – making it sure it chops the soil thoroughly. Most people feel that the front tine tiller is easier to use because they are easier to maneuver around. Because of this easy maneuverability, they are perfect for small to medium sized gardens, or gardens that have tight corners. 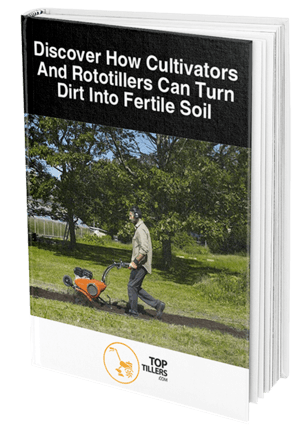 A rear tine tiller is usually recommended for professional farmers or the serious gardener. These machines are more expensive, they’re going to be heavier, and they are considerably more expensive in comparison. These tillers will often have one (or several) gears that will make the machine go forward, but some models will also have a gear for reverse as well. There are some rear tine tillers that have tines that rotate forward, while there are others that rotate in the opposite direction. One of the main differences between a front tine tiller vs rear tine tiller is that the engine powers the wheels of the rear tine tiller. This means the tines work independently the wheels. 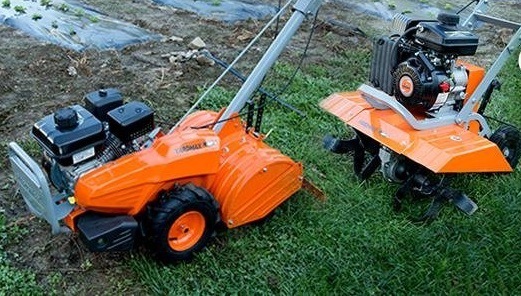 A mini-cultivator is a smaller version of a front tine tiller. These machines are also known as a soil blender and they are going to be more lightweight and offer greater portability. However, because these devices are so lightweight, they have a tendency to get clogged up frequently and they aren’t suitable for most gardens, especially if your soil has rocks or if you are trying to break virgin soil. Which Is Best: Front Tine Tiller Vs Rear Tine Tiller? Choosing the right tiller for your garden is going to depend on the size of the plot of land you’d like to turn into said garden, but also the type of soil you are going to be working with. A mini-cultivator is ideal for small gardens that are less than 20 square feet and with soil that doesn’t have any stones and is pretty loose. The mini-cultivator is a good option if you have limited strength and if you want to go in tighter spaces. 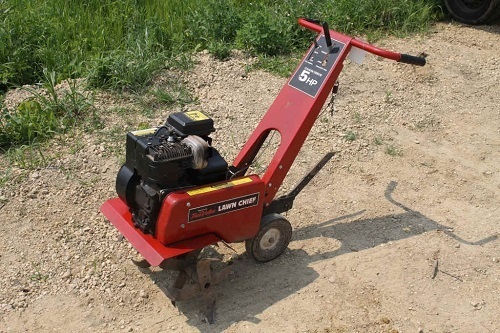 A front tine tiller is going to be better suited if you have a plot that has compacted and/or rocky soil. The spinning tines will cut into the soil and propel the machine forward, which can help the process of getting your garden started. These tillers are a great option for home gardeners who require a moderate about of tiller work. 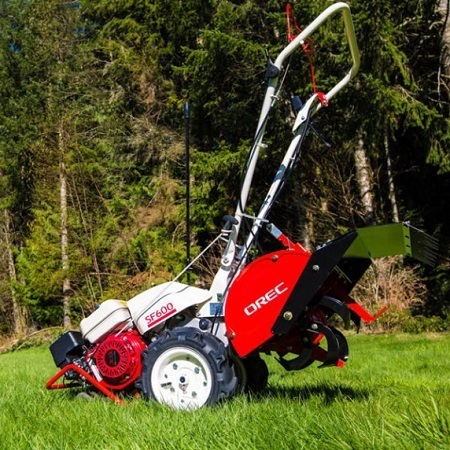 The rear tine tiller is a heavy duty machine that is going to be most beneficial for professional landscapers and serious gardeners. They will be able to take a large piece of land and till the earth so that the soil is loose and easy to work with. Also, these tillers are going to be easier to control when creating straight lines, thus making them perfect for gardening. When you’re trying to decide which type of machine is best suited for your needs, you will want to look at the product description of the model you are interested in purchasing to make sure it can handle the task you need to accomplish. In most instances, it’s usually a good idea to purchase a machine that is slightly larger and more powerful than you need because if you ever want to expand, you will have a machine that will be capable of handling whatever you put in front of it.